Internationally known board certified surgeons and nonsurgical physician spine specialists at the Spine Practice encompass all spinal sub-specialties including orthopedics, neurosurgery, anesthesiology and physical medicine. Our surgical staff is composed of fellowship trained, published, academic physicians who are involved in development of innovative research, new techniques, and education for patients and the medical community. The combination of superior extensive training coupled with academic critical peer review supports improved outcomes and provides management of even the most complex cases. 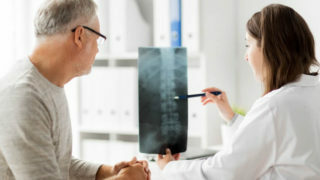 The Spine Practice multidisciplinary approach allows patient streamlining from the referring physician office to the ISD for a very effective treatment module from referral to treatment and ultimately postoperative rehabilitation, if surgery is indicated.